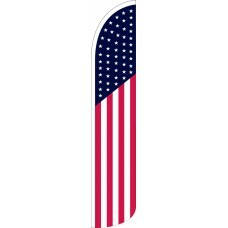 Be it the 4th of July, September 11th, Memorial Day or an all-year-round display of patriotic pride, our American Wind-Free Feather Flags are an excellent way to display your patriotic message loud and clear. 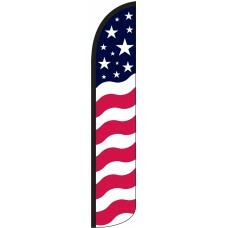 These flags can be used for temporary display such as at festivals and also work perfectly for all-year-round display at businesses that want convey a constant announcement that what you are offering is American to the core. 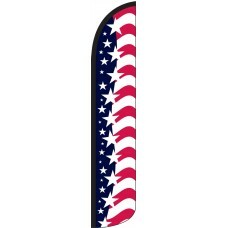 You might want to stock up on a few variations too, such as our Stars and Bars, Star Spangled Banner and the Stars and Bars featuring the iconic bald Eagle to create a truly dynamic display at your location. One of the advantages of displaying our American-themed flags is that in certain jurisdictions where feather flags are banned, American flags are permitted. 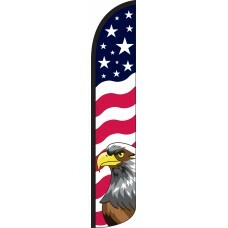 Our feather flag, which has the 50 stars flying high, will often be accepted. 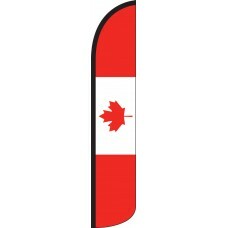 The innovative full sleeve design means these flags will remain taut even without wind.